Less than one-fifth of the military spouses who are eligible for the Defense Department's scholarship program are using it, according to an analysis by Rand Corp. Among spouses eligible for the My Career Advancement Account program, 18 percent had used the program in the previous 12 months, according to the Rand analysis of a 2012 DoD survey of active-duty spouses. More than half of those who didn't use it were unaware of the program, leading Rand to recommend that DoD and the services step up their efforts to promote the program. The research was funded by DoD. However, a DoD spokesman said that about a year ago, defense and service officials had stepped up their efforts to let eligible spouses know about the program. "The Rand report, which the department commissioned, provides us additional information that will be used to develop a targeted outreach plan to increase military spouses' knowledge" of the MyCAA program, said Navy Lt. Cmdr. Nate Christensen. MyCAA provides up to $4,000 (at an annual cap of $2,000) to civilian spouses of active-duty members in the paygrades of E-1 to E-5, W-1, W-2, O-1 and O-2. The scholarships are designed to further portable careers for spouses, and can be used to pay for education, training and testing in hundreds of occupations. 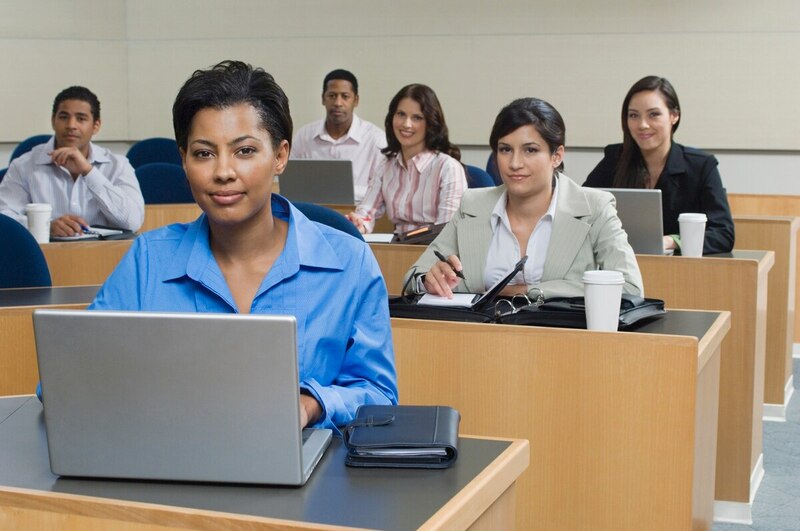 Funds can cover occupational license or credential examinations, and associated courses. But MyCAA cannot be used for general studies or for the pursuit of a bachelor's or graduate degree. According to Rand, more than 90,000 spouses have used MyCAA scholarships for approved education plans between October 2010, when the program was relaunched, and the end of November 2013. But less than one-third of those education plans — an estimated 24,695 — were completed during that time. That may be an underestimate, because spouses who lost MyCAA eligibility while they were still in school have no incentive to return to MyCAA to report that they completed their program, according to Rand. Rand used information from DoD, and from the 2012 Active Duty Spouse Survey, which asked spouses about their use of a number of programs, including the MyCAA. The assistant secretary of defense for military community and family policy directed an outreach effort to maximize the use of MyCAA early last year, Christensen said. In addition, in December, DoD began to reach out to spouses who had already created an education plan, but hadn't used the MyCAA benefit, Christensen said. "We wouldn't go so far as to say MyCAA is underutilized because we don't know what the need is," said Rand researcher Laura Miller, a military sociologist. "There may be some underutilization because of lack of awareness, but we don't know," she said. MyCAA is designed to provide education and training to help military spouses in the job market. According to Rand's analyses, 39 percent of spouses eligible for MyCAA reported working for pay or profit in the week before taking the DoD survey, while the percentage of MyCAA users doing the same was 34 percent. "MyCAA users were significantly less likely to be working than spouses who did not use MyCAA in the past year, possibly because the former are in school," Rand reported. Miller said it's not possible from this research to tell whether MyCAA is resulting in employment for spouses, but noted that other evaluations are underway. And although the study didn't evaluate the program's effectiveness, it found that MyCAA and other programs for spouse education and career opportunities are targeting key education and employment hurdles that face this population. Rand recommends that career counselors reach out to MyCAA graduates to help them with job searches. Those who are newly married are less likely to be aware of the MyCAA benefit; 43 percent of those unaware of the benefit have been married for less than three years. Nonusers who are unaware of the benefit also are more likely to live in the civilian community. Among eligible spouses who were aware of MyCAA, the main reasons they didn't use the program were time constraints and their perceptions that they were ineligible. Fifty percent of MyCAA users were Army spouses; 15 percent were Navy; 17 percent were Marine Corps; and 17 percent were Air Force. Researchers said the numbers take into account the fact that there are more Army spouses overall. Spouses of junior enlisted members in paygrades E-1 to E-4 account for 62 percent of MyCAA users. Spouses of E-5s account for another 33 percent. 44 percent of those using MyCAA are under age 26; 37 percent are under age 30. 59 percent of MyCAA users are white; 66 percent of nonusers are white. Of the MyCAA-eligible spouses who were not looking for work, 26 percent of those using the program said they don't want to work; 33 percent of spouses who have not used MyCAA said the same. The biggest reasons cited for not looking for work are the desire to stay home with children and the high costs of child care. Rand recommended that DoD investigate whether MyCAA partner schools that offer on-site child care would be willing to offer discounts or other child care benefits to MyCAA recipients. Researchers also recommend that DoD help spouses who contact MyCAA or the Military OneSource Military Spouse Career Center to identify other education financial aid opportunities. Family responsibilities, the cost of education and the cost of child care were cited by more than half of MyCAA users and nonusers alike as primary reasons for not pursuing additional education or training. Frequency of moves and transportation problems were the least-cited reasons — about one-fourth cited those. When the full-scale MyCAA program was launched in 2009, it was available to any military spouse for a variety of educational programs. But it was abruptly shut down in early 2010 because so many spouses had registered that DoD was overwhelmed by the demand and the established budget could not sustain the program. The DoD survey — and this Rand research — doesn't take into account spouses who may have used MyCAA in previous years. It only identifies spouses who had used MyCAA in the previous 12 months before the survey.